"Build your product with integrity.. Stay behind it 100% and success will follow." Well, I have to admit that I was a bit of a collector since I was a child: steel soldiers, coins, badges, stamp and many more. Once, I've even started collecting lighters... even if I'm not smoking anymore, I'm still proud of my Zippo classic lighter, with a brushed chrome finnish. 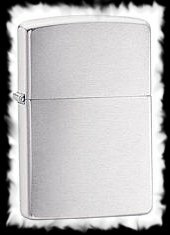 The Zippo lighter was invented by George G. Blaisdell in 1932 in Pennsylvania. He decided to create a lighter that would look good and be easy to use, so he optained the rights for an Austrian windproof lighter with removable top and redesigned it to his own requirements. He chose this name because he liked the sound of the name of another new product, the zipper. The original price for a Zippo lighter was $1.95. Current Zippos carry a MSRP between $12.95 up to more than $3,500 USD, depending on the rarity and materials used in the given item. Zippo started engraving initials and attaching meratl insignias on lighters in 1935. On March 3, 1936, patent no. 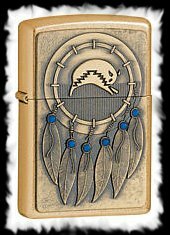 2032695 was granted for the Zippo lighter. Since 1932, over 425,000,000 Zippo lighters have been produced. 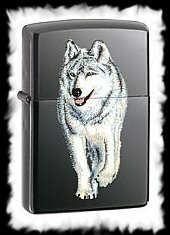 Zippo celebrated the production of the 400th million lighter on september 3, 2003. Zippo now produces ~12 million lighters a year. 21% of the people who own Zippo lighters are collectors. Zippo lighters gained popularity as "windproof" lighters: able to stay lit in harsh weather. They became popular in the US military, especially during World War II (when all Zippo lighters produced went to the Allied war effort) and during the Vietnam War. Additionally, Zippo lighters are known for the "forever" guarantee they carry: if a Zippo lighter breaks, no matter how old or how many different owners, the company will replace or fix the lighter for free. The only part of a Zippo lighter that carries no warranty is the finish on the outside of the outer case and lid.